Island Harvest is awaiting Health Canada's final commercial pre-licensing inspection. Interested in strategic alliances, partnerships, ideas? Contact us. Did you know... Island Harvest has been supported by all four levels of government. Island Harvest is proudly supported locally by municipal, regional, provincial and federal levels of government. Click here for the CMCIA press release to find out more. 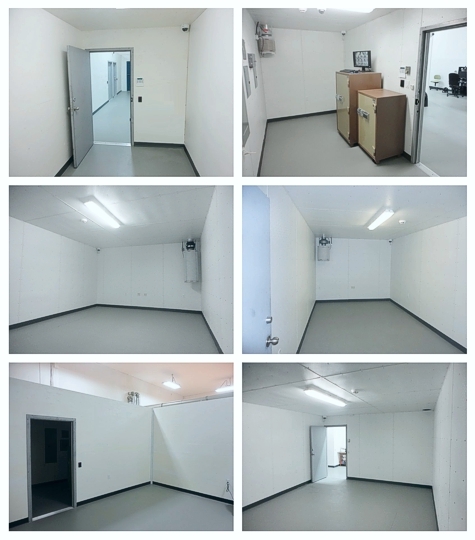 Island Harvest's facility (photos below) with all physical security is now complete and we are awaiting Health Canada pre-licence inspection. After receiving Level 5 ready-to-build approval status from Health Canada, Island Harvest is pleased to announce our quality assurance, record keeping and personnel security clearances have been approved and the company is in the final stage of licensing. Our licensed producer status is now subject to physical security inspection and final approval.